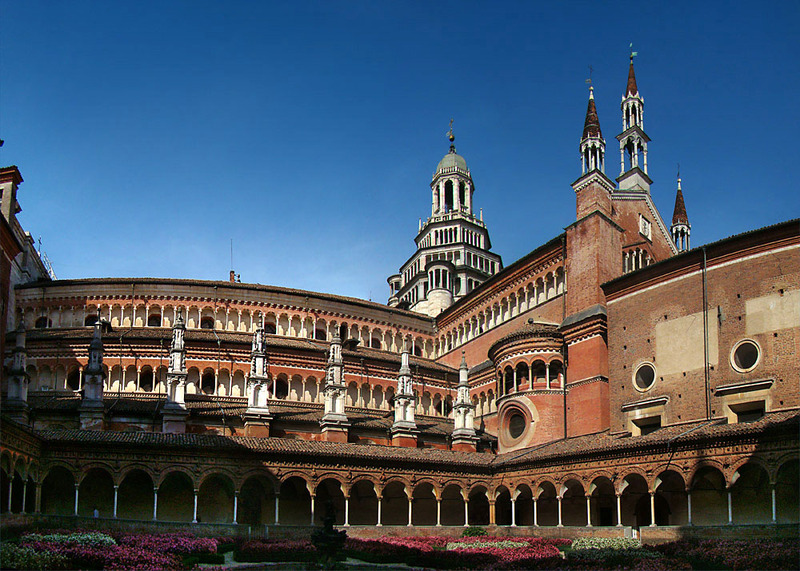 After a typical Pavian lunch, a guided visit to the Certosa di Pavia, one of the most remarkable Renaissance monasteries in existence, home to extraordinary works of art and faith, the intended mausoleum of Ludovico Maria Sforza, Leonardo da Vinci’s greatest patron. 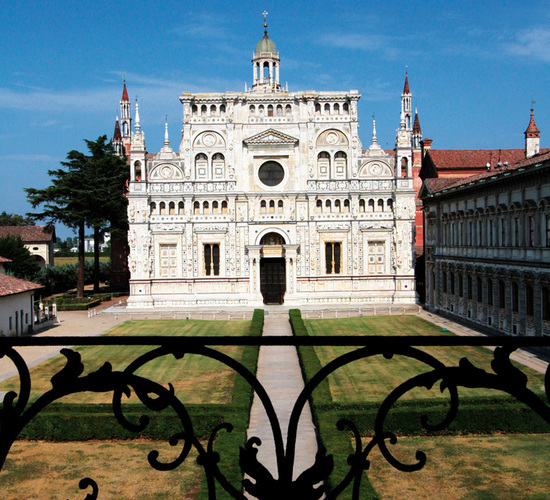 Founded on 27 August 1396, built of rich marbles and profusely ornamented with fine sculptural decorations, the Certosa of Pavia is one of the masterpieces of Renaissance decorative design. The two large arcaded cloisters are of richly ornamented terra-cotta. The church contains the tomb of the first Duke of Milans, Gian Galeazzo Visconti, of Ludovico Sforza (“The Moor”) and his wife Beatrice d’Este. In the church there are also magnificent paintings and frescoes by Perugino, Bergognone, Bernardino Luini, Andrea Solari, Cerano, Morazzone, Guercino, Daniele Crespi and Giulio Cesare Procaccini and sculptures by Giovanni Antonio Amadeo and Cristoforo Solari.